Quality is always in demand and appreciated for its virtues such as sturdiness, composite structuring, adherence to standards and other features. In this offered range of best quality Brass Sanitary Fittings, we are offering our clients with the best grade fittings that are easy to install and perfectly accurate in dimensions. In this range we are offering Extension pipes, Brass Tank pipe, Adapter, Brass Tees and much more. With the help of our immense expertise in the domain we deal in, we are offering to our customers this range of Brass Extension Pipe. These pipes are availed to the customers in the most comprehensive and industry leading prices. Made from the best quality metal of highest grades and certified standards, these pipes are also availed to the customers in a wide variety of specifications. Useful in a wide variety of industrial purposes, the offered range of these Brass Tees has been made from the best quality raw material. The offered range has been made as per the international standards in order to easily accommodate to the needs of the industry and the customers. We offer this tee range in various sizes and in the most comprehensive and industry leading prices. 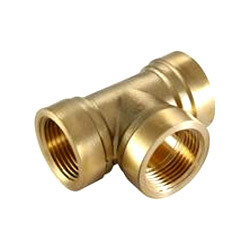 We have been engaged in the complex process of offering to our customers a wide range of brass products and in this range we are offering Brass Adaptor. The range has been manufactured from the usage of best quality brass and has been availed to the customers in the most comprehensive and industry leading prices. 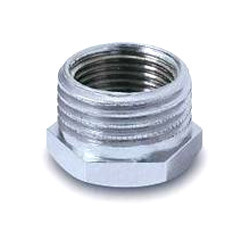 Made as per the international standards, this range has been given predefined specifications of the customers needs as well.